My Bright Pink Cadillac: Jimmy Who? 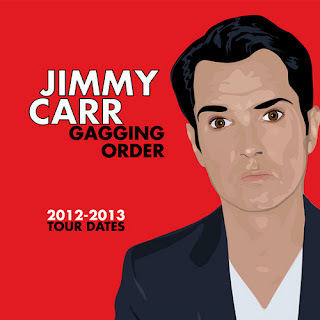 I am going to see Jimmy Carr's 2012/13 tour this Septemeber on the 7th at the Hall For Cornwall in Truro. So excited already! "Gagging Order" promises to be an hilarious night out...let's see shall we. The show will be packed with one-liners, stories & jokes. Some clever, some rude & a few totally unacceptable."